After the Brexit vote, NT boss Rufus Norris sent interviewers to talk to voters: Carol Ann Duffy has their verbatim snippets spoken by representatives of (some) British regions at the behest of Brittania, who also voices Tory big beasts and Nigel Farage. Yes it’s cloth-eared, clod-hopping, even insulting at times – Welshmen sing, Scots drink Scotch – but this was an essential thing for the National to do, and its fragmentary nature is not only deliberate but illustrative. It makes you relive and re-examine the whole painful process again, surely not for the last time. And if it doesn’t have any answers – well, we’re learning that’s also not uncommon, aren’t we? What an extraordinary tale of influence, affection and shifting artistic tides is told in the National Gallery’s dazzling show about Michelangelo and the younger friend and collaborator who pre-deceased him. It’s not only the loaned artworks that impress but the preserved letters full of early respect and friendship that dwindle as the older artists tries to control and then hobble his collaborator (who was his superior in oil painting). 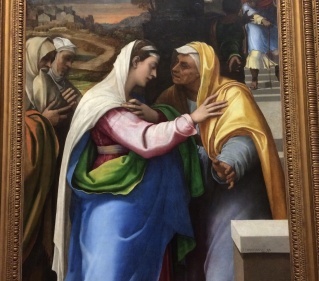 I loved Michelangelo and was ignorant of Sebastiano before this, but it is the fragments of a destroyed version of The Visitation by the latter that stayed with me. 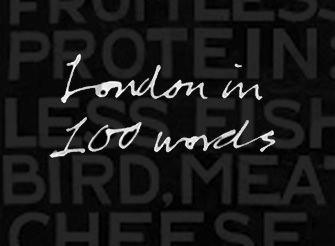 There’s a novel in this story, surely. 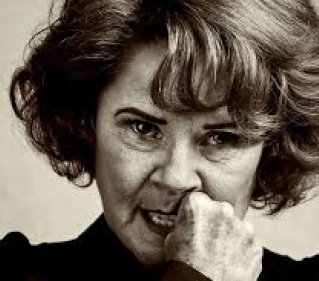 Imelda Staunton is thrillingly unlovely as Martha in Edward Albee’s long, dark, pissed night of a play – a performance as gutsy as her Mama Rose in Gypsy, but more frankly savage and eventually human. She’s matched by Conleth Hill as husband George, a mangy, pouchy old tomcat who can still claw and bite. James Macdonald’s production is meticulously orchestrated: Imogen Poots and Luke Treadaway are great in the challenging support roles. I love this play but the tragicomic psychodrama goes up to 11. 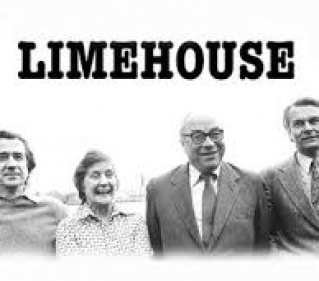 I think Albee, who I twice interviewed, was embarrassed by its excess, and the shadow it cast over his other work. But here, you can see why it did so. London theatre sure feels like a liberal bubble when you’re next to Shirley Williams, watching a play about the founding of the SDP in which she, naturally, appears. An easy shot, but no more pat perhaps than the way Steve Waters equates Labour's problems in 1981 and now. 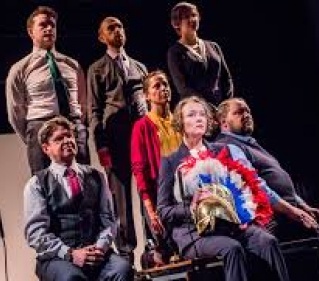 Like his previous Temple - about St Paul's reaction to the Occupy movement – this involves a passionate, provoking, speechifying and necessarily inconclusive rehearsal of the arguments, here enlivened by Debra Gillett’s pin-sharp Williams and Roger Allam’s slyly comic Roy Jenkins. The strongest character, deliberately, is David Owen’s patient, pragmatic wife Debbie, played by Nathalie Armin: the coda the actress speaks, about the state of the world today, is an authorial cop out.